Consistent-C Winds | Setting the standard for quality wind instrument repair and sales. Happy New Year everyone! 2017 was another record-breaking year for us and we owe that to our faithful and loyal customers. We appreciate all of your support of us doing this crazy job! We’re excited about what 2018 is going to bring! A quick update: This year we’ll be tweaking the daily schedule again to allow for more productive time in the latter part of the day, so our new lunch break will be from 1:00PM to 2:00PM EST. If you happen to catch us during that time, please call and leave us a message and we’ll get back to you as soon as possible. In 2017 we instituted an electronic ticketing system that has been a game-changer as far as our communication and records. Not only has it saved us time but also allowed us to keep extensive and easily accessible records for our customers upon request. If you have need of your repair history at any point from the beginning of 2017, just let us know and we can send you a PDF of anything you need. 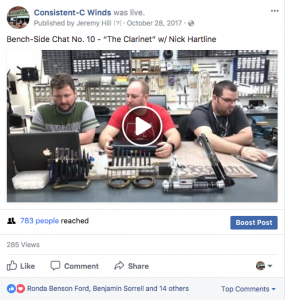 We also started our Bench-Side Chats on Facebook Live to take our followers further into the depths of instrument repair methodology and mechanics. We cover a range of topics from materials to maintenance t0 instrument-specific issues, as well as inviting guests to discuss these things with us. Check them out on Facebook for more info on what we do and why we do it! (Click the picture above.) Bring questions to the sessions, we will answer them live for you! TRIP TO J.L. SMITH & CO. In October of 2017 we took a trip to J.L. Smith in Charlotte, NC. Jeff was kind enough to welcome us to his shop and give us a private tour while the doors are normally closed, and suffice it to say it was a very inspirational trip. Some great new approaches and dreams were born out of this trip and we’re excited about what’s to come because of Jeff’s guidance. Thanks Jeff! If you have need of any industry-specific tools, materials, flutes, accessories, or the like, PLEASE go check out JL Smith and show your support for a business that is making life easier for those of us who live in this world. We brought on another full time saxophone technician back in 2016, Alex Singleton. Alex has been apprenticing with Jonathan on a daily basis now for the better part of a year and half now. We are proud of how far Alex has come. 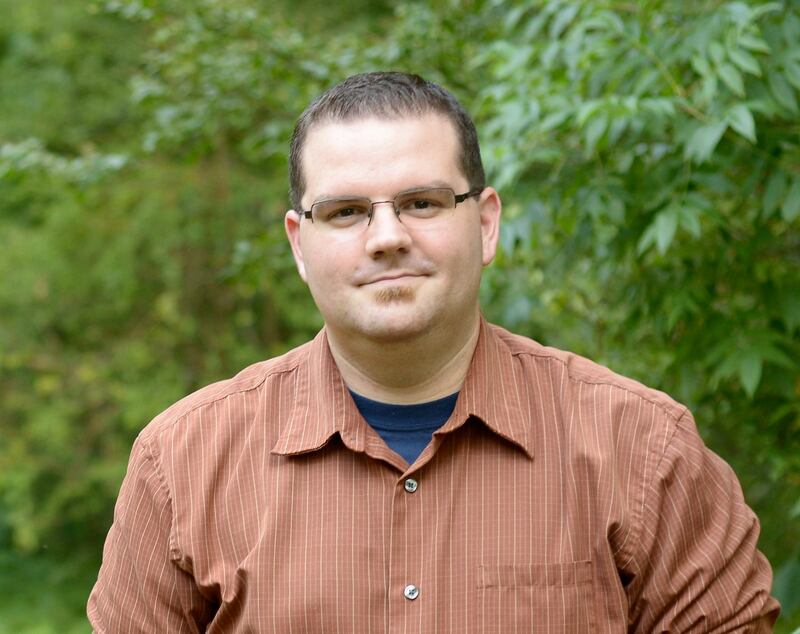 He has also taken over our social media and marketing presence, for which we are greatly appreciative. 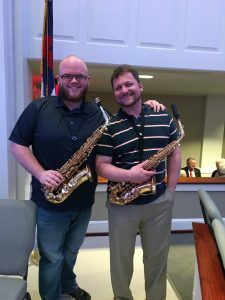 Alex was also awarded Performing Artist status with Selmer Paris, and also recently completed his saxophone performance degree at the University of West Georgia. 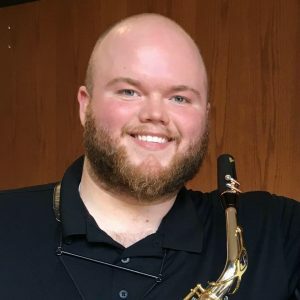 He will begin teaching saxophone in an adjunct role with Chattanooga State Community College in January of 2018. In July of 2017 Alex also had the opportunity to perform some service work on Dr. Otis Murphy’s (Indiana University Jacobs School of Music) saxophone as well. We are very proud to have him be a part of the team! The 2017 year brought a lot of changes in approach to flute work for our manager and lead tech Jeremy Hill. 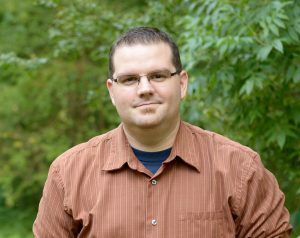 Through a course of events working on a particular flute, Jeremy has connected with some of the best flute technicians in the United States and Canada to continue his education and improve his skills in flute repair. He has also continued to build on his years of experience in small woodwind and brasswind repair. These resources have taken his work here in the shop to the next level, and we look forward to continuing our proven record of the highest quality repairs available. 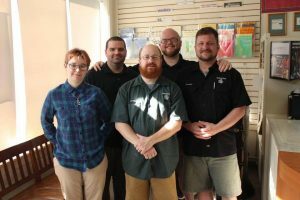 Jeremy also started working with Jeff Smith to begin helping small shops hone their business practices and approaches in order to increase productivity and growth. 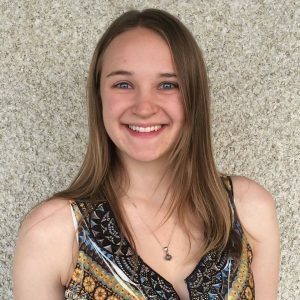 Our apprentice Autumn Headrick also decided to take her skills to the next level and has journeyed off to Western Iowa Tech Community College where she is currently earning her AAS in Band Instrument Repair. We look forward to getting her back into the shop and seeing what she has learned! We are proud of you Autumn! More new faces have popped in around the shop this year. We have welcomed to the fold Maycee Spence, a saxophone performance major from the University of Wyoming at Laramie. She has begun working with us on a part-time basis servicing rental instruments and helping with just about anything else we need. 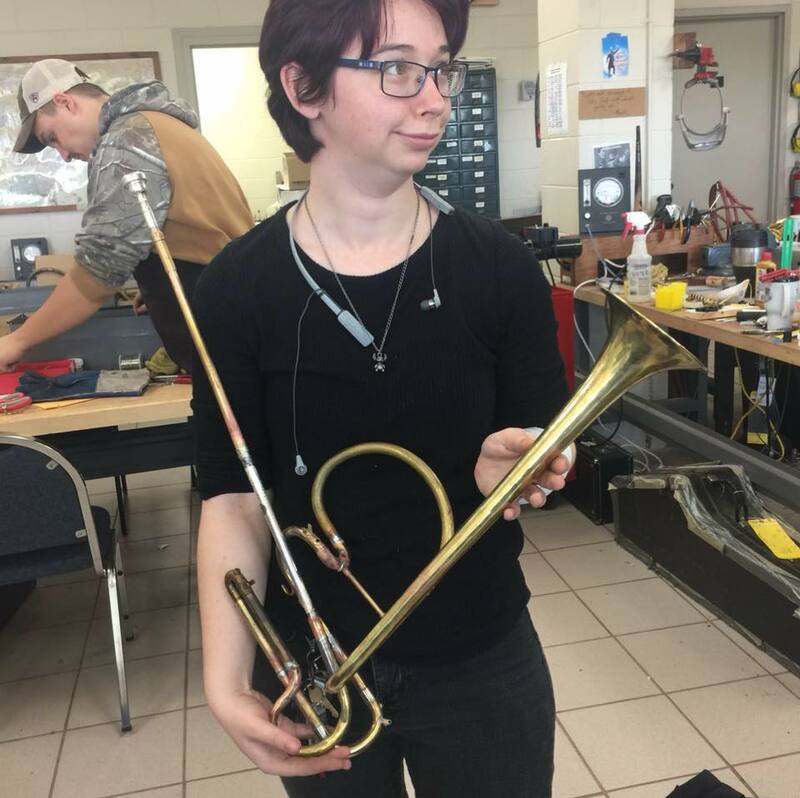 We’re very glad to have her here and we look forward to developing her already apparent skills as an instrument technician. In solemn news we did say goodbye to our long time, red-bearded friend and brass technician Greg Merrill due to time constraints. Greg has been a staple part of the team for years and we were sorry to see him go, however he does still pop in from time and time and the friendship built during those years will last a lifetime. Greg was our shop comedy relief, and although we still feel his absence we are very appreciative for the years of skilled work he offered during his time here. Thank you Greg! And last but certainly not least our owner Jonathan Cathell has had a very accomplished year. His crowning achievement was being able to work with Dr. Timothy McAllister from the University of Michigan back in May of 2017. Dr. McAllister performed a gig with the Knoxville Symphony, and at his request Alex and Jonathan went up to have a look at his saxophone for a general review. After having a close look, Jonathan was able to remedy some existing issues and perform necessary adjustments customized to Dr. McAllister’s preferences. This resulted in what Dr. McAllister said was “the best his axe had ever played.” We are very humbled and proud to have been able to help Dr. McAllister in such a meaningful way. And with that, we want to say how much we appreciate all that you, our customers and supporters, did for us in 2017. 2018 is going to bring a lot of great things and we look forward to the continued growth. Happy New Year everyone, we’ll see you around soon! We want to thank each and every single one of you for choosing to do business with us. The response this year has been overwhelming and we are grateful to be so blessed with work. We want to make you aware that because of the intense work load that we have right now, we are changing the way we schedule our days here in the shop. Due to overwhelming demand, we are closing our doors for a lunch break on Tuesday through Friday from 1:30PM to 2:30PM, and on Saturday from 12:30PM to 1:00PM. This is to ensure that we actually get time to eat and have a break during our day. We sincerely appreciate your understanding of this during our busy season. IF YOU HAVE AN EMERGENCY NEED, PLEASE CALL US AT 423-870-3697 AND WE WILL DO OUR BEST TO ASSIST YOU IMMEDIATELY. If we’re here at the shop we’ll answer and help you as best we can. If there is no answer then we may have stepped out to get lunch, and you can be assured we will return at or before 2:30PM and will either help you immediately or return your call at that time in the order it was received. We understand that this may come as an inconvenience to some of you, and we greatly apologize in advance for this. It is a true sign of your trust in us that our business has grown so much this year, and in order to keep providing you with the Consistent-C that you’ve come to know and expect, we must be strategic in how we manage our time. For more updates about what’s going on around here, please go to our Facebook page and follow us! Posted in The Blog	| Comments Off on READ ME, I’M IMPORTANT! New schedule changes for the busy season! Another big year of changes is coming at the shop. We’ve got big plans for expanding our operations and capabilities, which means a wider array of repairs that we’ll be able to offer. We’ll also be introducing a new site, and reaching into some new social spaces online to bring you more of what we’re up to around here. Keep checking back for updates as they’ll be coming more frequently! With the new year here, we’re taking the time to set new goals. How can we improve the experience of our customers while still maintaining the high standards we work so hard to ensure? For the coming year, there is one main area: Training. The kind of work we do is painstaking. It takes an abundance of patience and time to learn (years at least), and we are taking the proper steps to ensure that our technicians have the proper training and experience to work on your horn in the safest and most effective way possible. How? This year we’ll be devoting more than 250 hours to nothing but high-focus training sessions, one on one between Jonathan and our apprentice technicians. It can take years to master just one type of horn, so this type of focus in training is paramount in order to increase not only knowledge, but productivity. This will widen the vocabulary of instruments that our technicians can work on in a shorter period of time, which will equate to more quality work being done. Quicker turn around on getting instruments finished and back to our customers is the name of the game, while still being able to keep our work at the highest quality possible. Again, we want to thank you for all of your support and for making us your band instrument repair and sales choice. We look forward to making this year an even more productive year than last, and to making all of the improvements we can to make your experience here with us an even better one. Here’s to the new year. Let’s make it a great one. Valve oil actually can (and does) dry out and can leave deposits that will cause your valves (or rotors for you Horn and Trombone players) to seize up over time. You should use 3 to 4 drops of valve oil in each valve first thing before you play each day. If you know you’re not going to be playing for awhile, continue to take your horn out and move your valves regularly once a week for 30 seconds. Always store your horn in a cool, dry place. This coupled with proper emptying of your water keys and regular cleaning and your horn will last as long as you need it to! If you haven’t already, make sure to stop by our Instrument Care page and check out our guidelines for proper horn care and maintenance. More instruments will be added soon. Always remember to use common sense when handling your instrument. As always, you can keep up with us on our Facebook Page. Most of the summer work is in and it’s become a crazy place around the shop! We couldn’t be thankful enough for everything that’s going on. To all of you who have chosen us, thank you so much for your business, we appreciate it more than you know, and we’re working hard to make sure that you get nothing less than the best for your horn. Don’t forget that with the break in the school year, it can be a great time to shop for a new instrument if you or your children are looking into their time as a musician more seriously. We are southeast Tennessee’s exclusive Jupiter band instrument dealer. We’ve partnered with them for many reasons, not the least of which is their commitment to quality, customer satisfaction, and superior manufacturing. So if you’re in the market for a brand new instrument, stop by and ask about Jupiter! Let us know if there’s anything we can do for you. Enjoy your summer! We’re continuing to build the main site and get things rolling. Lots of craziness in the shop today (because that never happens…), but all in all it’s coming together. Coming attractions include an Instrument Care section, FAQs, and some brief bios about the staff here. More to come soon, stay tuned and make sure to like our page on Facebook! As if it didn’t take us long enough, we’re finally getting some stuff out there on “those internets” as it were. Thanks to our good friends at Scenic City Productions, we’re getting things rolling. If you ever have need of anything in the way of website design, hosting, studio recording or visual work, check out their website and let them put together a media solution that’s right for you! Much more to come soon, in the mean time… Like Us on Facebook to keep up with what’s going on around the shop. You stay classy Chattanooga. Posted in The Blog	| Comments Off on Oh no, it’s happening….